Who's Up For Some Retro-Batman? Turns out that Comixology has started giving away Detective Comics 27 for free, what with the issue being some 75 years old at this point. So, I thought that I'd post some! Haha! I just found my copy of "The Shadow Strikes!" 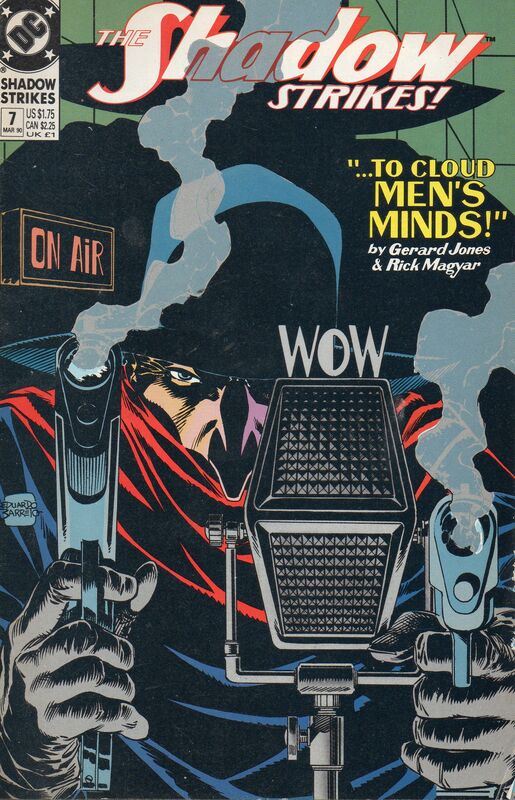 #7, March 1990, which is a tribute to another Shadow incarnation, the radio show. Eight pages of twenty-four of the lead story, one page of three of the backup feature. Remember, the weed of crime bears bitter fruit! The Shadow knows!